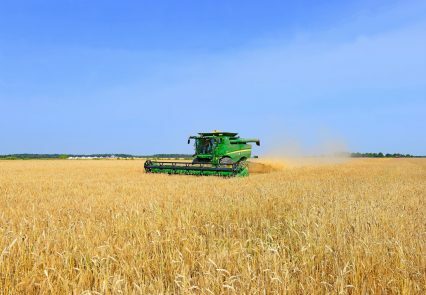 The European Union (EU) and the European Bank for Reconstruction and Development (EBRD) have arranged a US$5mn loan to Ukrainian agricultural producer Kischenzi under the SME direct support facility. The facility aims at supporting small and medium sized businesses (SMEs) in the countries of the Deep and Comprehensive Free Trade Area (DCFTA). Under the facility, the EU will provide a first loss guarantee for the loan. According to the EBRD, Kischenzi already exports around 60% of its output production to the EU and other markets. The proceeds of the loan will be used to upgrade the agri exporter’s fleet of combine harvesters and to acquire supplementary equipment like cultivators, helping the company strengthen its export potential. Ukraine became a member of the DCFTA on January 1, 2016. The free trade agreement with the EU has caused Ukraine to lose its free trade zone with Russia. The country is looking to strengthen its support for exporters by creating an export credit agency, and the government has tasked Ukreximbank to become the founder of the agency.